SORRY, THIS EVENT IS NOT HAPPENING THIS YEAR. 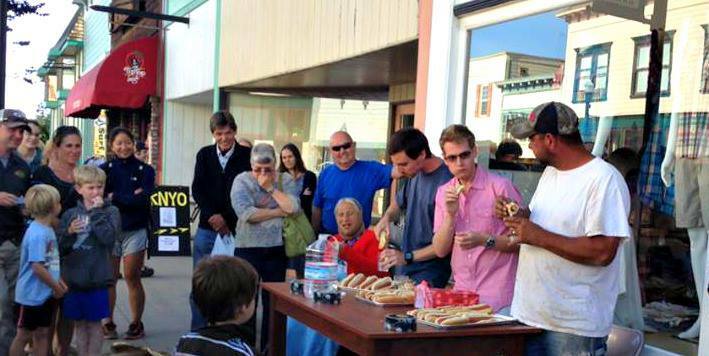 Once again Reynolds’ Men’s Wear will be holding their annual Hot Dog Eating Contest during Paul Bunyan Days! 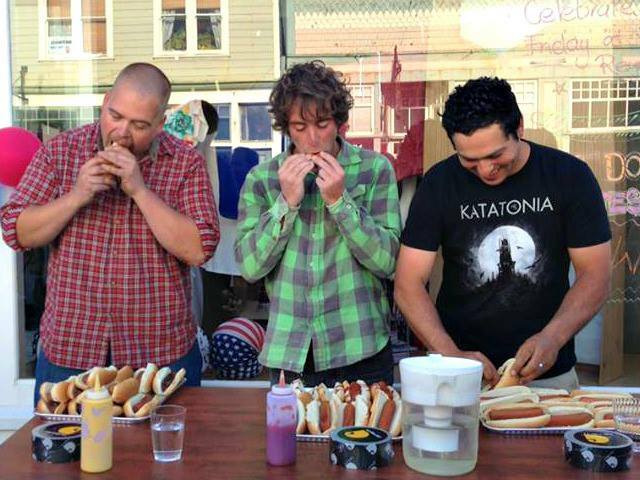 Each contestant will be given 15 hot dogs – they’ll have 5 minutes to see who can eat the most. Last year’s winner ate 10 hot dogs in 5 minutes! Think you can beat the record? Enter the contest! Please call Amberly at 964-5294 for an entry form. Don’t think you can beat the record? Well, stop on by and cheer on your favorite hot dog eater on Saturday at 3:00 PM. Your friends at Reynolds’ will be giving out free hot dogs after the contest.